Remember my earlier post on the blog about the visit from the Discovery Channel? The video featuring the 3D Display Lab aired this past week on the Daily Planet as part of their Future Tech special. You can watch the video on the Discovery Channel Website in the link below. The portion involving myself and Dr. Pierre Blanche starts three minutes into the clip. 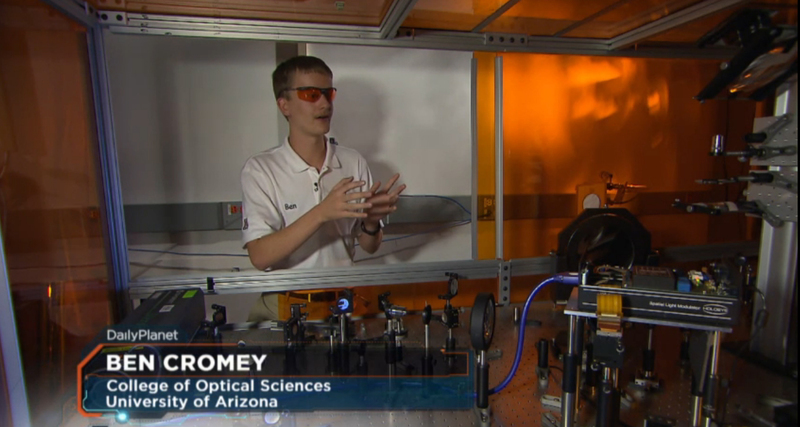 On October 18th, those of us in the 3D Holographic Display lab at the University of Arizona were treated to a visit from the Discovery Channel! The Canadian component of the Discovery Channel has a show called the Daily Planet, which features, among other things, interesting science from around the world. They thought our work in re-writable holographic displays was very interesting so they came out to film it for their show.